We kindly invite your to include our Abbey in your schedule when visiting Cracow. 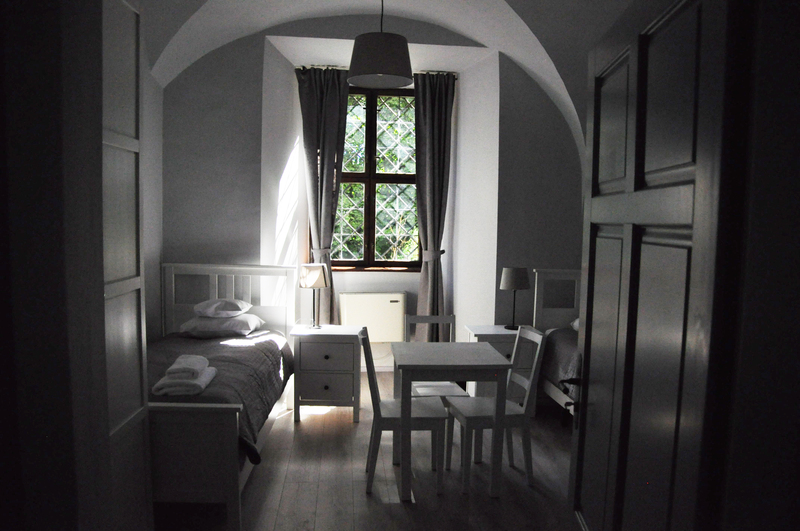 The Guest House is part of the Benedictine Abbey in Tyniec, the oldest monastery in Poland. 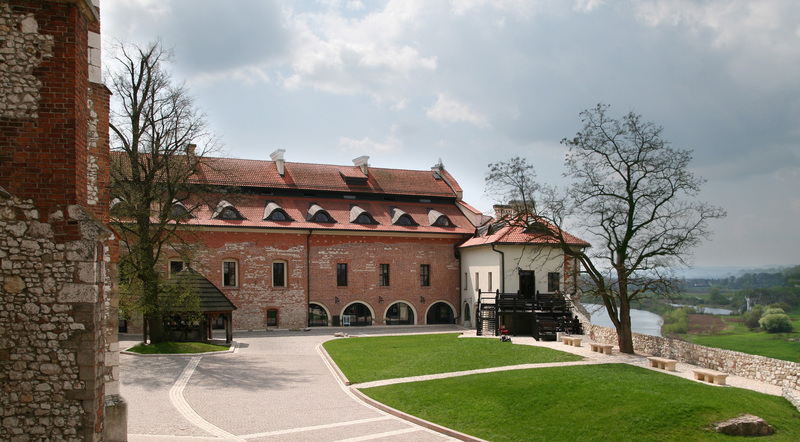 The architectural complex of the Abbey is beautifully located on the rocky bank of the Vistula River (12 kmfrom the historical center of Cracow). Today, rebuilt from ruins with the financial support of the European Union, it is open to guests wishing to experience the living Benedictine tradition. 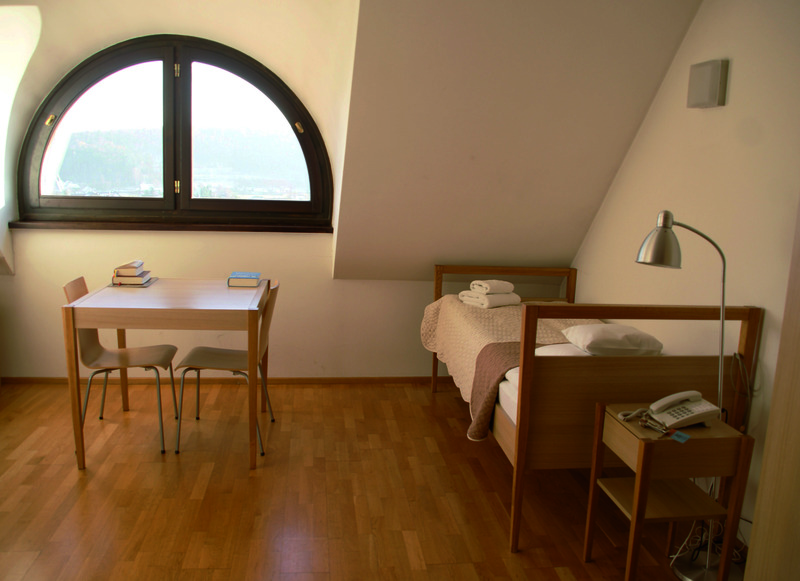 The Guest House is an ideal place for those who need rest as well for those who need the necessary conditions to work. A regular bus service provides convenient transportation to the center of Cracow. It is also very close to the A4 motorway and the airport KRK in Balice. 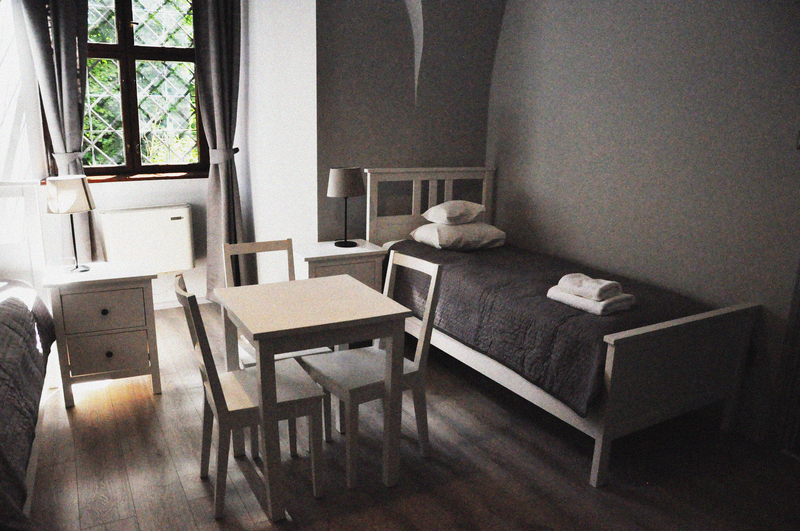 Comfort Rooms are located in the restored wing of the Abbey, with bathroom and elevator in the building. We can host up to 53 guests, and this area is handicap accessible. 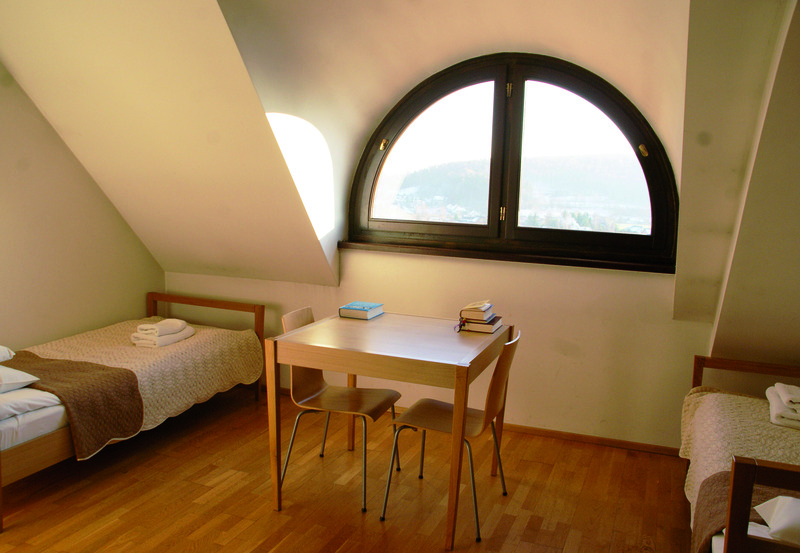 „Opatówka” – Standard rooms without bathrooms are located in a separate building. In this area, we can host 38 guests. Please keep silence in the Guest House, especially in the corridors. It is indispensable for intensifying the inner life of the spirit and spending retreat time fruitfully. Be careful not to disturb the silence of others. Conversations should be held in the rooms or in places designed for this particular purpose. The Reception Desk is open from 6 am until 9.30 pm. You should go there if you have a problem, need information, etc. The Guest House Prefect will help you if there is any exigency and the Reception has already closed. If you wish to speak to one of the Fathers, please schedule an appointment through the Guest House Prefect. You should leave your room before 11.30 am. It is strictly forbidden to smoke and drink alcoholic beverages at the Guest House. You may smoke only outside the precincts of the monastery (and the churchyard). As a Guest of the Abbey you will be asked to choose from among the three available room standards. Should your choice be limited due to lack of free rooms, you will be informed immediately. Payment must be made at the Reception Desk the moment you collect the keys to your room. Credit cards are accepted. It is a great pleasure to welcome you to our Abbey. We would like you to feel completely at home here and spend your time fruitfully. 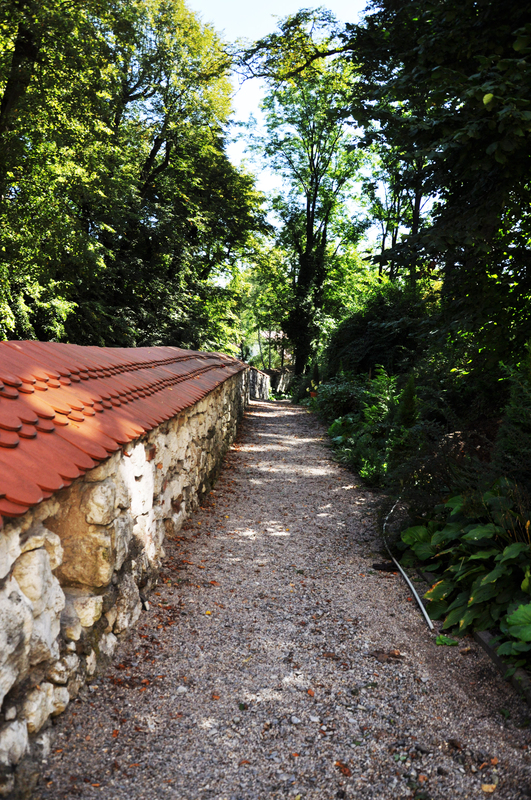 The Guest House is a part of the monastery – the home of the monks who pray and work here. We invite you to enter this sacred space and experience the pervasive Spirit. It was almost 1000 years ago when people set out on their personal quest for God in this place. If you wish to, you can join the monks in their work and in their prayers. You can also speak individually to the Fathers. We hope you will find here the blessing of a true peace.